Taking a step further to become one of the smart cities, Visakhapatnam has been selected among top three cities from Andhra Pradesh under the Central Government’s Smart Cities Mission. 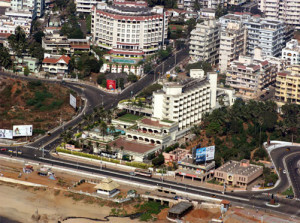 The Greater Vishakhapatnam Municipal Corporation (GVMC) authorities are preparing to get through the second level of clearance at the national level since the US has already promised to help transform Vizag into a smart city. The proposals that have been made by the Corporation, along with the municipal bodies of Tirupati and Kakinada, will be submitted to the Central Government. GVMC commissioner Pravin Kumar has met the authorities concerned in Hyderabad and explained the proposals made by the Municipal Corporation. A number of efforts are being put to ensure that Visakhapatnam clears the second stage of scrutiny. Officials believe that the Port City has good chances of winning it.